Parents ask why, if their teens study, do they receive poor grades on tests. When I coach students, there are always study skills we can build to improve their test scores. However, the answer to why your child is receiving low test scores might be relatively easy to fix. You are asking the wrong question! If you ask your teenager if they have studied, the answer will always be "Yes." Yet, even with affirmative responses students still receive failing grades on their tests. What is the disconnect between studying and the grades teenagers receive on tests? What can we do to help our children create strong study habits? The first thing parents can do to help their children study is to erase the word "did" and “if” from your conversation. Asking your child IF they studied is like asking if they broke the window with their baseball. Your teenager does not want to get into trouble, and they have learned that a simple yes is the easiest way to avoid an argument over school work. Parents are happy when their child responds with a yes, because then you do not have to pry any further! Asking IF your child studied does not provide your child with a chance to ask for help, and it doesn't let you find the connection between poor grades and study habits. If we no longer ask our child IF they studied, what is the right question? The question to ask your teen is HOW they studied. Is your Child Using Multiple Learning Modalities? Parents in the Parent Lab are taught the best ways their children learn. If they hear "I read the book," they know this is a red flag answer. We want to hear they used a variety of methods to secure the information in the brain. A simple reading and re-reading of the material is a) boring and b) does not make the information stick! You want your child to respond with at least two different techniques of reviewing. What are two examples of how to review material? I'm glad you asked! One response might be that they organized and reviewed their notes using The Test Prep Roadmap. By examining their grades and pulling precise assignments, your teenager will focus their study time on the exact concepts they struggled with. 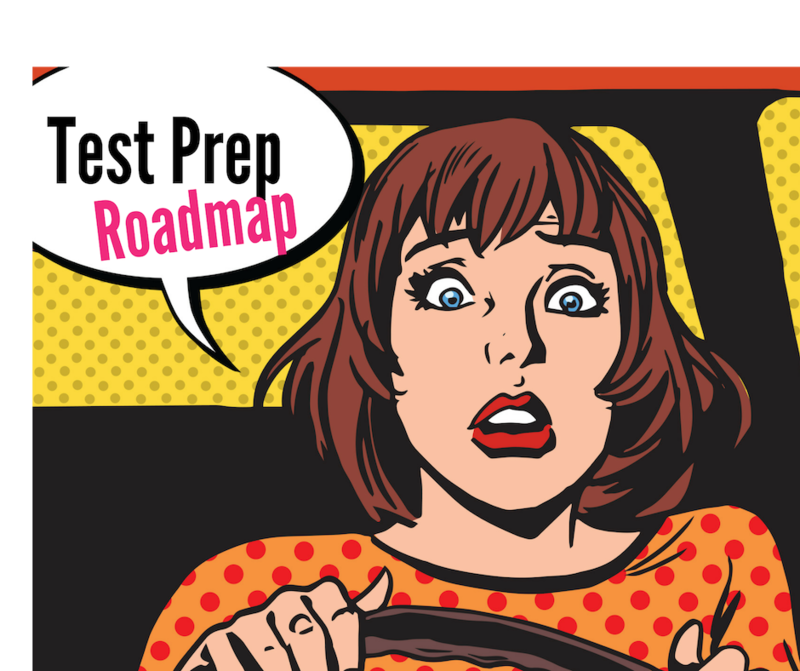 Not only does The Test Prep Roadmap (a free resource you can find here) help your child reduce their study time by honing in on specific problem areas, they use multiple senses in retrieving their notes. Your child uses physical touch by sifting through papers, they use their eyes to review their grade book, and they use their fingers to type in or write the assignments they need to find. After using this test prep resource, students will feel more prepared and more confident when walking into the classroom. Another review method your child might use is teaching the material. Many of my academic coaching students will act as the teacher and lecture me on the content on their tests. By speaking aloud, they are using another study sense to solidify their knowledge. They also can test their confidence by answering questions I have about the material (and boy do I have a lot of questions). During these teaching sessions, students make notes on the concepts they need to review further. They discover the ideas they have to spend less time on because it is obvious they understand the material. When you ask HOW your child study you force them to think whether they studied effectively and whether they used a variety of methods. Only reading the textbook is one of the worst ways to study for a test. It bores your brain, and you end up skimming the information. You may as well chuck the book and watch Netflix! YouTube: Yes, this resource does supply endless hours of cute goat videos, but it can also visually explain concepts. It is also a great resource to find audio recordings of texts and stories. I have worked with students who have learning differences and audio recordings they have seen on YouTube help break down the information. Quizlet: Make note cards you won't lose! You can even find note cards students created. This is brilliant because you don't know their definitions. This will force you to test how well you truly understand the material. Facetime/Skype/Zoom: Study sessions don't require a trip to the library anymore! Find good friends, and by good I mean those that will HELP you study, and work together to keep each other on track.. When you ask your child IF they studied you will get the answer you want to hear and not the answer that will help your child. What is the final response you might hope to get if you ask HOW they studied? Well, it might be that you receive no answer from your child at all! What?! That's right. If you and your child can talk about school without a fight, you will be their partner. As their study partner, you will know how they studied and if they chose to review materials in a way that tap into all the modalities of learning. You won't have to ask HOW they studied because you will be kept in the loop instead of having the door slammed in your face.